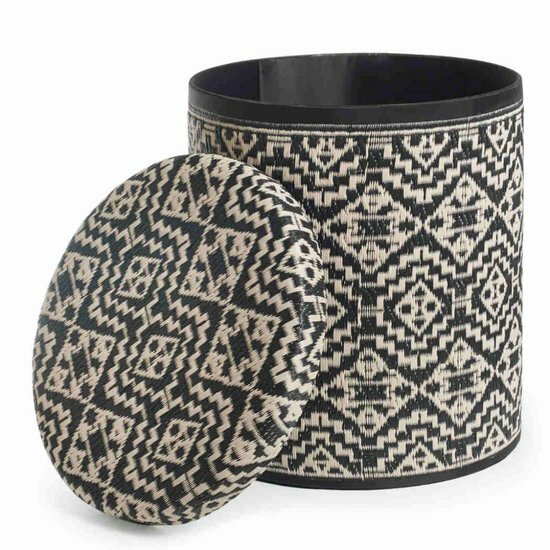 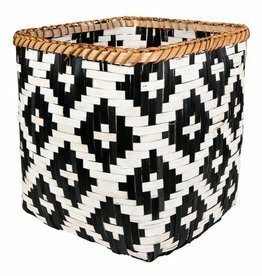 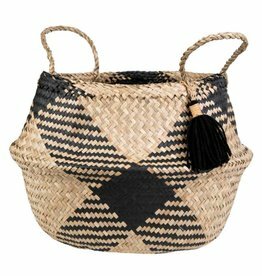 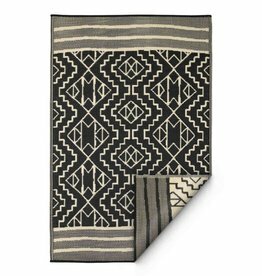 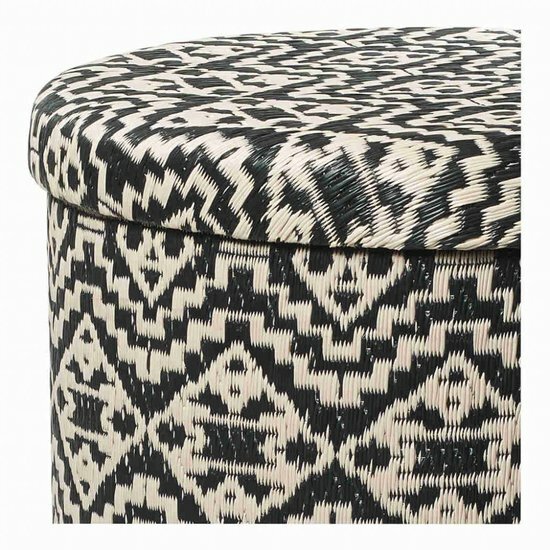 Black and beige tribal pouf Kilimanjaro with storage space, perfect for a table or seating. 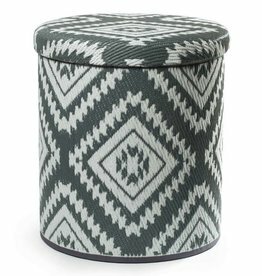 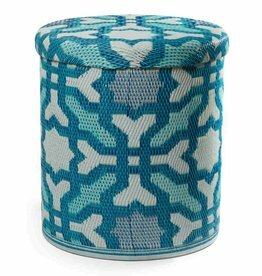 The Pouf can be used both indoors and outdoors and is ideal for storing bits and bobs such as toys or blankets. 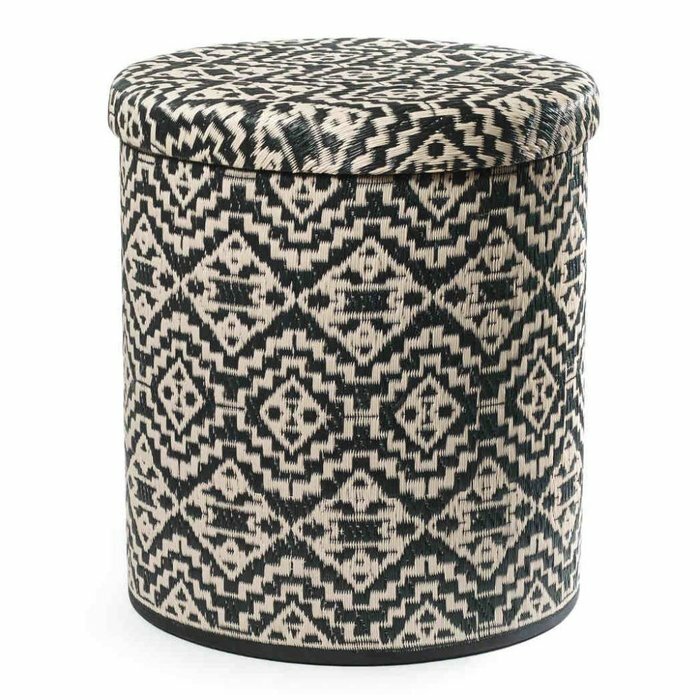 It was meticulously handcrafted in India and is also environmentally friendly and sustainable through the use of recycled polypropylene plastic.